Karen L. Brooke, 9780692623817, 250pp. In the third book of the Ialana Series, an ancient weapon of planetary destruction has been uncovered. Astrobal, the demon-lord of Iochodran, will stop at nothing to gain possession and control of the deadly weapon. When Astrobal discovers that the key to the control of this weapon is Anwyn, the daughter of Jarah and Tegan, he must use all the resources he can muster to hunt her and her family down. He sends Glahivar, an old and powerful enemy of the Six, to Three Rivers, where they and Anwyn are under the protection of the Queen. But Queen Catrin and her husband, Ambros, have problems of their own. A threat from the south is brewing: Moran, the war-lord of Yor Swamps has designs on Catrin's kingdom. 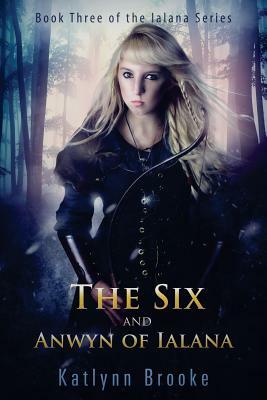 In a race to the end, Anwyn and the Six must not only gain possession of the weapon, but deactivate it too, before Astrobal can use it to destroy the planet. Growing up in Africa during the '50's and '60's, Katlynn Brooke's childhood was an unusual one, even by African standards. While her city peers were learning how to dance to Chubby Checker's The Twist or preparing for final exams, she was in a camper travelling through the bushveld penning plays and short stories for her family's entertainment. As an adult, her many travels took her to India and Indonesia, where she lived in both countries for several years before settling permanently in the United States. She now resides in Virginia with her husband, and a cat. Katlynn, always an avid and eclectic reader, is still inspired by authors such as Tolkien, Arthur C. Clark, and Terry Brooks. Influenced heavily by her past travels, she draws on her sojourns in foreign lands, and even her dreams, for out-of-the-ordinary settings, intrepid heroes, and the assertive heroines of her epic fantasy adventures.